Visual representation of present status of any function he;ps the team to get updated about their current efficiency level and their speed against targets. This japanese origin concept is poular because of its nature to reduce the stop over time,breakdown time and faster bottle neck analysis to resume the work . Andon in line enhances the transparency of the process and high-light an instant reaction to quality or safety issues. Andon increases the accountability of operators and ultimately improves their involvement and help them to take smart actions. 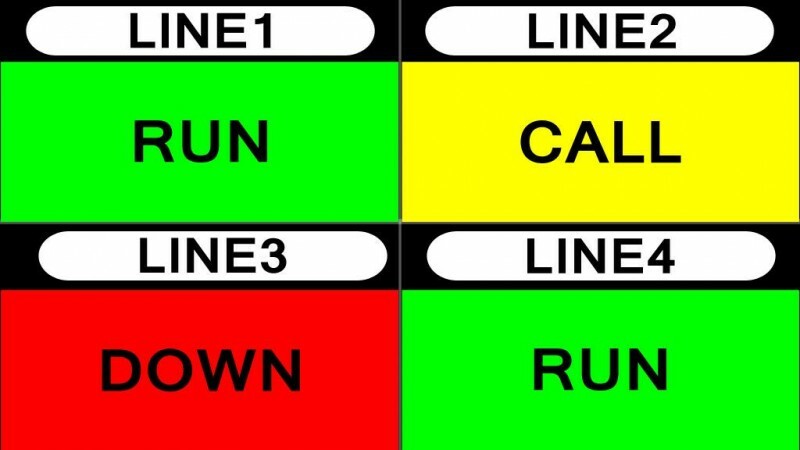 Through Andon you can display a number of information at different locations. DCS will help you decide how , what aspects of Andon implementation. Detroit adopts amodular approach to implement Andon to bring hassle free implementation. Along with the IT department of the Idustry DCS can bring more dynamic Andon platform.